To get ready for Saturday's race, stop by the store or our website to get your bicycle themed gear! 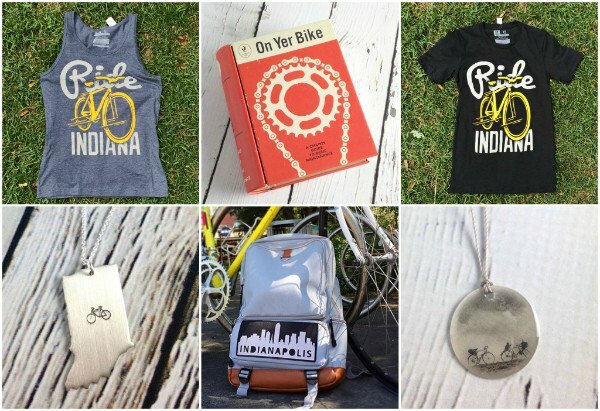 Grab one of our USI "Ride Indiana" tanks, tees or hoodies to wear to the event. Top it off with a pair of "hellraiser" socks and a Bike themed necklaces from Twigs & Twine or Everyday Artifacts. We even have the coolest new reflective patches for your backpack, or bag that will help you stay safe while riding at night! They're designed by one of our employees, so that makes it even better! Grab your favorites here.